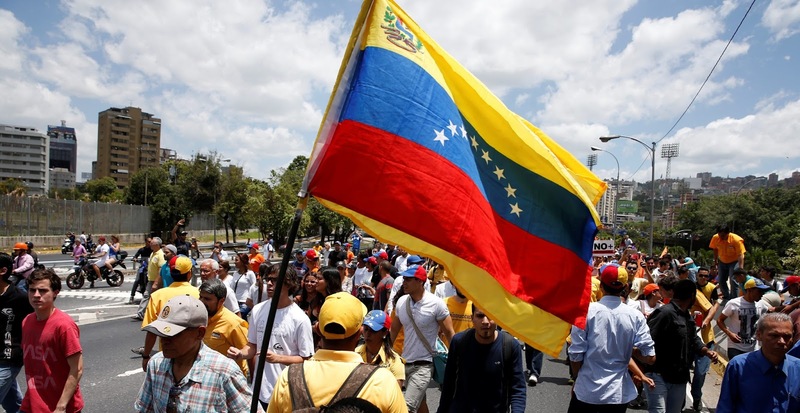 Stability across Latin America is in jeopardy from President Donald Trump's "reckless threat" to consider military action against Venezuela, Caracas said on Saturday, after its military vowed to stand up to the US leader's "craziness." The warning from Trump on Friday that his administration was mulling many options, "including a possible military option if necessary," struck the government of Venezuela's beleaguered leftist president, Nicolas Maduro, like a thunderbolt. The leadership of the crisis-wracked nation -- Latin America's biggest oil producer and an ally to Russia and Cuba -- suddenly found itself going from battling dissent, protests and growing international isolation to contemplating the sort of US military action last seen in the region in 1989, when American troops invaded Panama to topple its president, Manuel Noriega. "The reckless threat by President Donald Trump aims to drag Latin America and the Caribbean into a conflict that would permanently alter stability, peace and security in our region," Foreign Minister Jorge Arreaza told a news conference, reading a statement in Maduro's name. 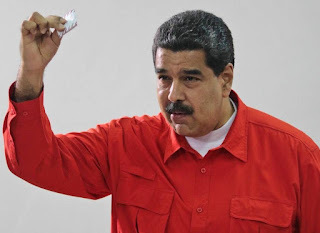 The menace, however, also gave Maduro's regime an unexpected opportunity to substantiate its daily refrain that it is a victim of a Washington plot to grab control of its oil reserves, the biggest in the world. Venezuela's military, current and retired members of which control a third of the government, leapt on the threat to say it was the nation's only bulwark against "imperialist aggression." General Vladimir Padrino, the defense minister and commander of its armed forces, on Friday called Trump's threat "an act of craziness." 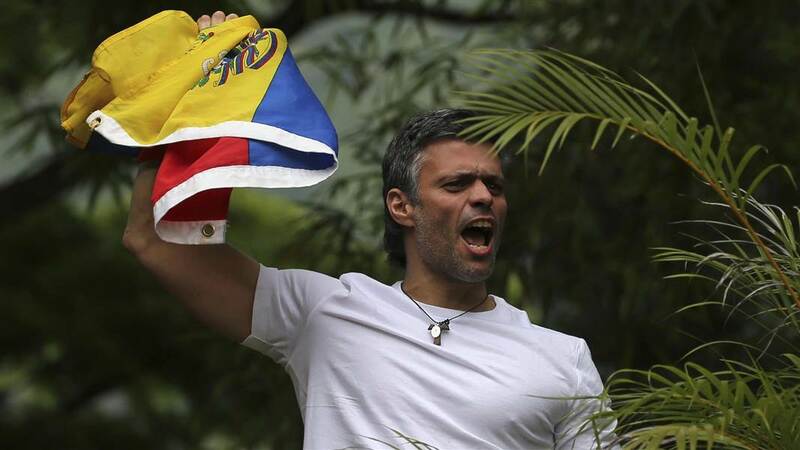 "I am certain that we will all be in the first ranks defending the interests and sovereignty of our beloved Venezuela," he said. Trump had said the military option was among a range of scenarios he was considering to fix the "very dangerous mess" in Venezuela. He has already had his government impose sanctions on Maduro -- an extremely rare step against a head of state -- and two dozen of his officials. They were for a perceived moves "dictatorship" in Venezuela through Maduro's establishment this month of a new, all-powerful assembly filled with loyalists that has powers to override the country's legislature, controlled by the opposition. The head of the new Constituent Assembly, Delcy Rodriguez, said on Twitter: "We reject the cowardly, insolent and vile threats against the sacred sovereignty of Venezuela." The assembly was elected two weeks ago in a vote marred by allegations of fraud, an opposition boycott and violent protests and repression by security forces that brought the death toll in four months of unrest to more than 125. Since starting work, the assembly -- ostensibly tasked with rewriting the constitution -- has fired Venezuela's attorney general who had become a major critic of Maduro, and stepped up measures to quash opposition politicians. The supreme court, which has also shown itself consistently loyal to Maduro, stripped two opposition mayors of the right to public office and ordered them to jail, bringing to 23 the number targeted by legal action. The developments have prompted major Latin American nations Argentina, Brazil, Chile, Mexico and Peru to slam Maduro's government for "breaking democratic rule." Peru on Friday ordered Venezuela's ambassador to leave, with Caracas reacting by ordering out Lima's envoy. But not all of Latin America is ranged against Maduro. Venezuela can still count on support from leftist allies Cuba, Bolivia, Ecuador and Nicaragua, as well as a handful of Caribbean nations that depend on it for cheap or free oil. The prospect of US military action in a region that has very bitter memories of multiple such interventions last century has stirred unease even among countries opposed to Venezuela. Brazil, Colombia, Peru, Chile and Mexico on Saturday voiced rejection of the threat of force. "The repudiation of violence and whatever option involving the use of force is resolute and constitutes a fundamental basis of democratic cohabitation, both in domestic contexts as well as in international relations," Brazil's foreign ministry said in a statement. "The crisis in Venezuela can't be resolved through military actions, internally or externally," Mexican Foreign Minister Luis Videgaray wrote on Twitter. Trump's warning, and the reaction in the region, looked certain to dominate a trip to Latin America US Vice President Mike Pence was starting on Sunday. Before Trump's comments, the tour had been seen as preparing the way for coordinated action between Washington and regional powers against Venezuela.